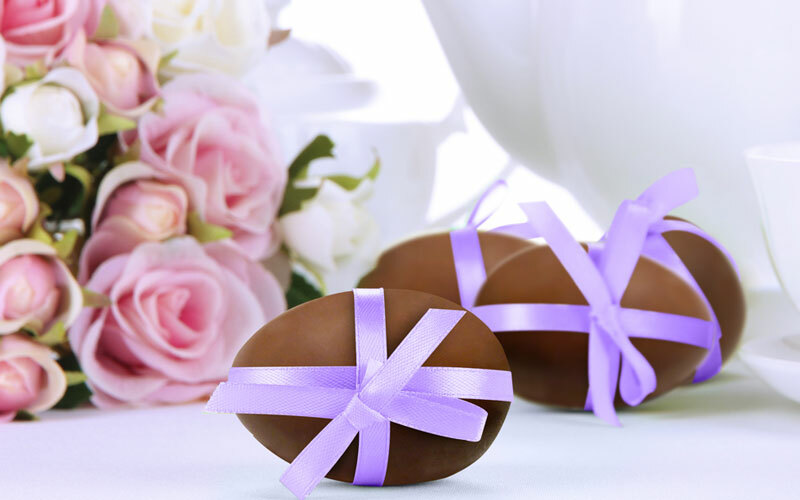 Easter is the second largest celebrated holiday in Italy. The Italian Easter, or Pasqua, celebration is a weekend-long affair that begins with solemn masses on Good Friday and extends to the Monday after Easter, La Pasquetta which means “Little Easter”. 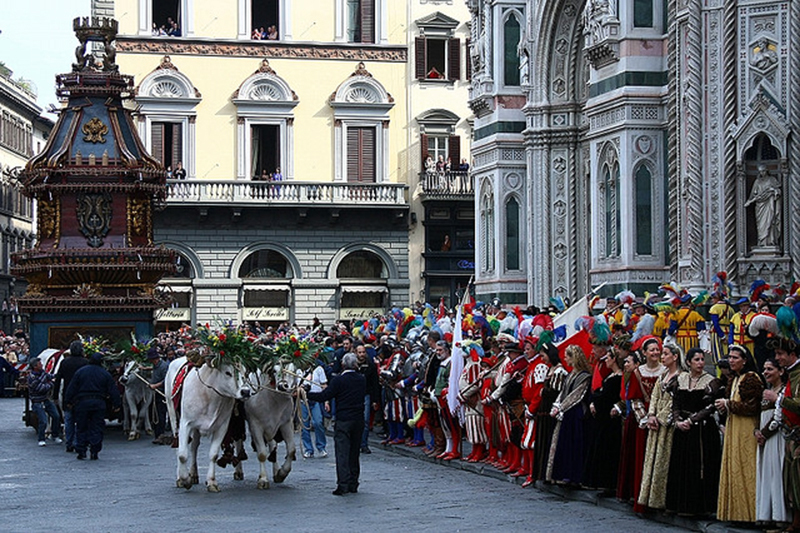 Towns and cities throughout Italy hold unique religious parades and celebrations, from parading through the streets in ancient costumes and having large music-filled festivals to sending a dove-shaped rocket into a cart filled with fireworks (celebrated in Florence and called Scoppio del Carro, “explosion of the cart”). On Easter Sunday, Italians join with friends and family over traditional foods and desserts and then celebrate La Pasquetta, a national Italian holiday, by attending picnics, going to festivals, and enjoying the outdoors to welcome spring. Two traditional desserts Italians enjoy during Easter celebrations are Easter eggs, le uova di Pasqua, and colomba di Pasqua, a dove-shaped sponge cake. These essential desserts are equally beautiful, delicious, and symbolic to both the Easter holiday and the arrival of springtime. A symbol of new life, fertility, and rebirth after the long cold winter months, the tradition and importance of eggs trace back to pagan times. Ancient Romans painted eggs red to bury in the soil with crops to propitiate fertility and in the Middle Ages, when it was forbidden to eat eggs during Lent, baked eggs were decorated, blessed and exchanged as gifts. Eggs are abundantly present in Italian breads and sweet and savory cakes during the Easter season. 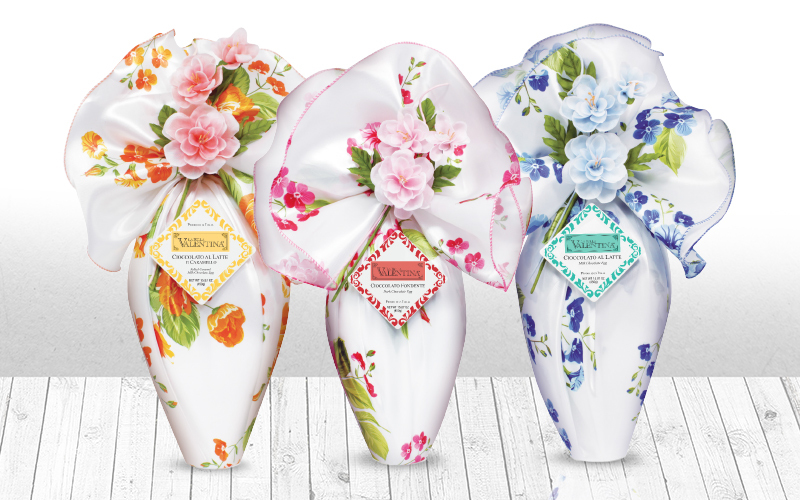 One of the biggest signs of Easter throughout Italy is the presence of the Easter egg, l’uovo di Pasqua, a hollow chocolate egg wrapped in bright, elaborately decorated and colorful foil with surprise gifts or toys inside. Sizes of eggs can range anywhere from a few inches to several feet, and the prizes can range from candy or small trinkets for children to customized eggs with larger, personalized gifts inside such as car keys or engagement rings. 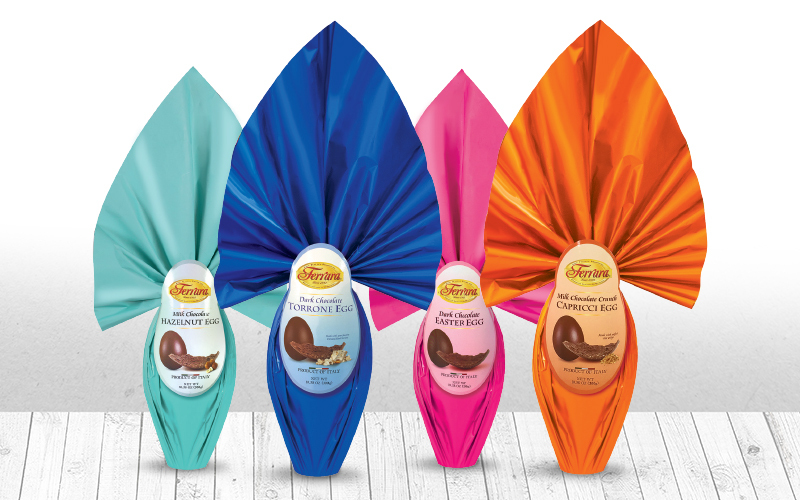 Start a new Easter tradition in your family with Bellino Traditional Chocolate Easter Eggs. 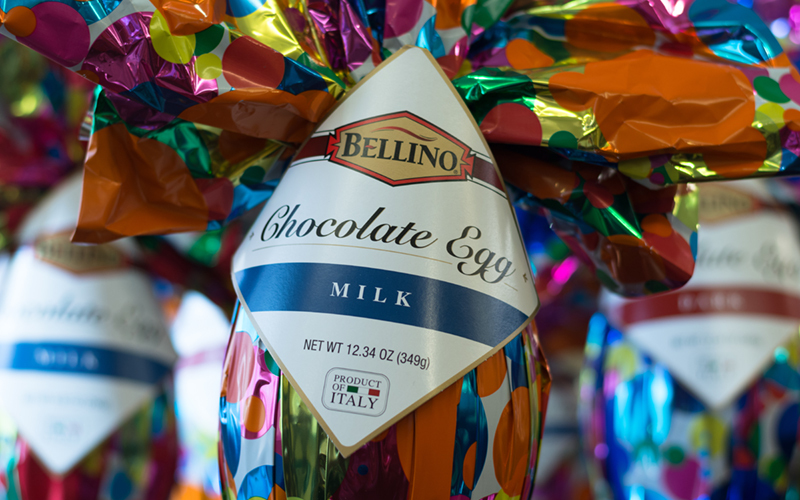 Wrapped in vibrant Easter-colored foil with surprise pieces of Torrone in the center, Bellino Easter eggs are available in both milk and dark chocolate, and available in a multitude of sizes, ranging from 3.5 ounces to 10 pounds. 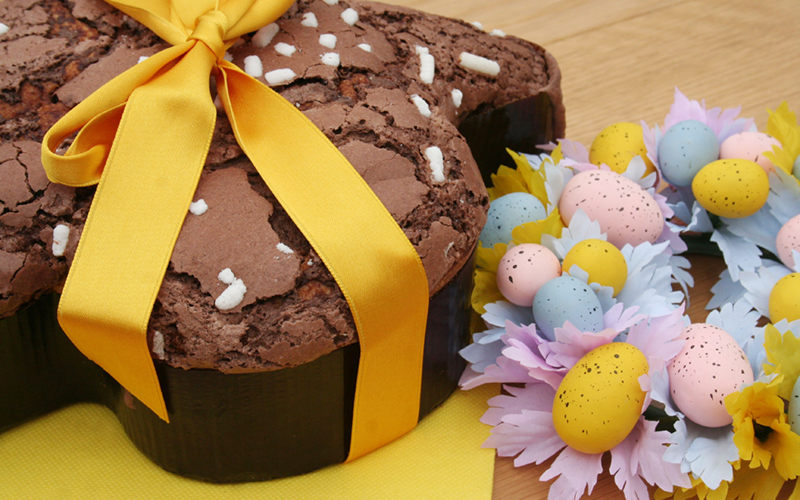 Another Italian Easter celebration staple is colomba, a soft and sweet dove-shaped sponge cake. In Italy, the dove is symbolic of the Holy Spirit, peace and the arrival of springtime. There are multiple tales about the origins of this unofficial national Easter cake. The first states that colomba dates back to 1176, commemorating the Lombardian victory over the Holy Roman Emperor, Frederick Barbarossa. According to the tale, two doves representing the Holy Spirit appeared miraculously on the battlefield. Another version dates back to 572 when King Alboin conquered Pavia after a three-year siege and demanded tribute. A maiden created a sweet bread in the shape of a dove to symbolize peace and, according the story, King Alboin was so impressed with the cake that he set her free and made Pavia his capital. 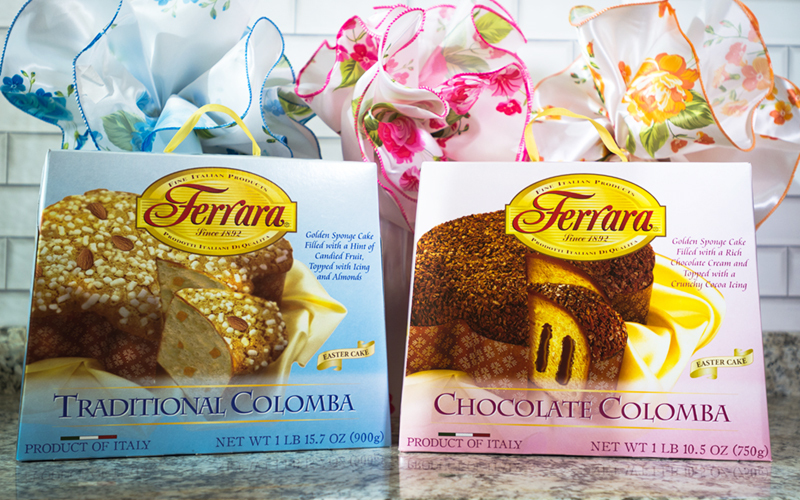 Today, colomba is exported all over the world and represents a production of excellence in Italian pastry making. Made with flour, eggs, butter, sugar, candied fruit and yeast, this cake must rise three separate times during preparation. Although there are many variations of colomba today, the authentic recipe is baked in a dove-shaped mold then topped with icing and roasted almonds. Rich and fluffy on its own, colomba can be served with fresh berries, chocolate, or paired with whipped cream. It can be enjoyed at breakfast with coffee, as an afternoon snack, or for dessert with a glass of Prosecco or dessert wine.